All the different types of appliances in existence have one thing in common - they are all bound to malfunction at one time or another. This can be due to wear and tear, power surges or poor handling among other things. Whatever the cause of the problem, finding a competent appliance repair expert in Palm Coast should be a priority. Since there are many appliance repair firms in the city, finding the right one for your needs can be a little bit tricky. Fortunately, you can never go wrong with Flagler Jack. We are an appliance repair company operating in the city of Palm Coast. We have over 20 years experience in the appliance repair industry, which means that we know how to fix a wide range of appliances regardless of their age, make or model. We are also locally-owned, so choosing us is supporting the local community. You can expect our team to treat your faulty appliance as if it was their own. That said, we repair all kinds of electrical appliances, so you only need to get in touch with us. Call us today for the best appliance repair in the city. Our team always responds quickly to service requests, so you can expect them to come to your home or office on the same day to offer appliance repair services. 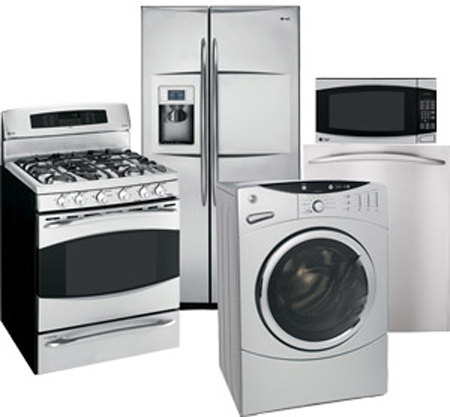 We charge a fixed fee or $75 for in-home appliance repair services. The best thing about it is that we guarantee all our services and parts, so you can have peace of mind.